YORK, Alabama — A small western Alabama community got a big reward this morning when the Coleman Center for the Arts in York, Ala. won a $200,000 grant from ArtPlace America. The Coleman Center applied for and will use the grant money toward their program Pop Start, a collaboration with the University of West Alabama’s James Suttles Entrepreneurship Institute. The center will use a building in downtown York to help develop local businesses, host temporary pop-up retail shops and provide meeting spaces for artists and the entire York community, Coleman Center Co-Director Shana Berger said. The Coleman Center has been working since 1985 to use the arts to help improve and develop York, a 2,800 population city southwest of Tuscaloosa. They had known about ArtPlace for awhile, but waited until they had the perfect idea before applying with Pop Start last December, Berger said. ArtPlace, founded in 2012, is an organization dedicated to investing in creative and artistic programs that enhance their communities, ArtPlace Executive Director Jamie Bennett said. “I think the Coleman Center in many ways embodies that,” he said. Bennett sees potential for Pop Smart in York because of the economic struggles it has faced as a rural community. While ArtPlace also gives grants to organizations and programs in metropolises such as Phoenix and Los Angeles, nearly a third of this year’s grant recipients were in rural areas. This year, ArtPlace gave a total of $14.7 million to 55 programs, chosen from over 1,200 applicants. Since 2012, they’ve distributed $56.8 million to 189 programs. The Coleman Center is the first organization in Alabama to win a prestigious ArtPlace grant. A program in Cahaba Heights was a finalist this year, but was ultimately not chosen. “We are so excited and just really honored,” Berger said. startups too often unfortunately close. It’s hard for other people in York to get too attached to new businesses, Berger added. It’s from this fear of failure that she hopes Pop Start can fix. “What if we could keep the fun sense of experience and lose that sense of failure and give people that support?” Berger said. The Coleman Center has started some Pop Start operations out of a downtown building donated to the organization, Berger said. 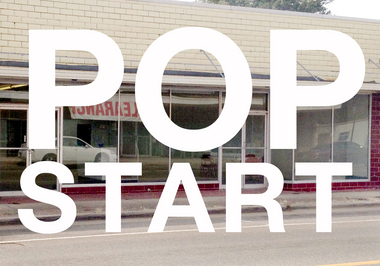 The Pop Start building has hosted artist projects, youth groups and local government meetings. The ArtPlace grant will allow the Coleman Center to renovate the building and hopefully begin full operation by the beginning of 2014, Berger said. “I hope that the Coleman Center and Pop Start will rally contributions to the creative, social and economic vibrancy of our town and our community we work in,” Berger said.